Welcome, and thank you for visiting Mr Whippy ice cream van hire. 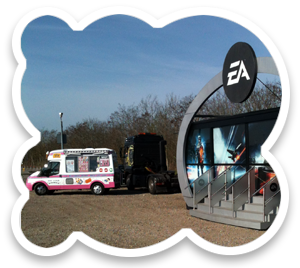 We cover all your events in London, Kent and the South East with our modern but original mobile ice cream vans in pink and white. 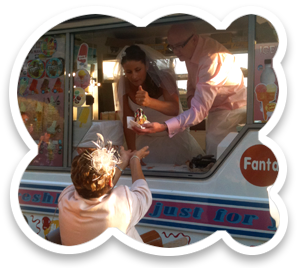 Mr Whippy ice cream vans can attend your wedding, birthday party, fetes carnival boot fairs, fundraisers or corporate events. Our well equipped vans ave fully qualified staff dressed appropriately to your occasion and provide only the highest level of quality and a large range of products. All our ice cream vans are fully licensed and annually checked by our local Council, we are proud to have acheived the maximum 5 star rating for our food safety and hygeine for another year. Covered by our Public and Employers liability insurance you can be rest assured that we have more than enough adequate cover whilst attending your event, and during the past 8 years of trading we have attended many events up and down the County providing a service to be proud of. Contact us today to talk about how we can make your event a massive success! 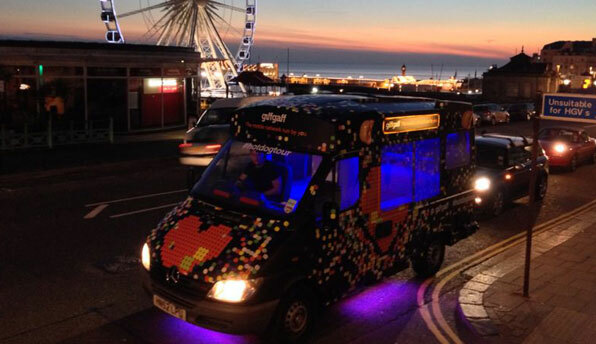 Mr Whippy Ice Cream Van Hire have created the special event and catering experiance for many top clients including names like Auto trader, Virgin media, Virgin Holidays, British Gas, BBC, Holiday inn, Corus hotels and many more. Ice Cream Van Hire For Weddings. 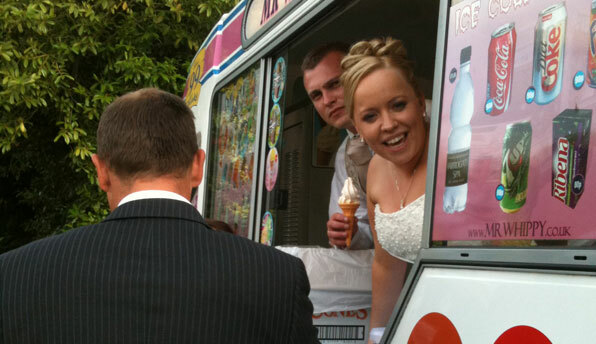 Mr Whippy have created that special wedding event and catering experiance for many happy customers this year. Ice Cream Van Hire For TV Work Mr Whippy have provided our ice cream vans for TV and Film work including pop videos. 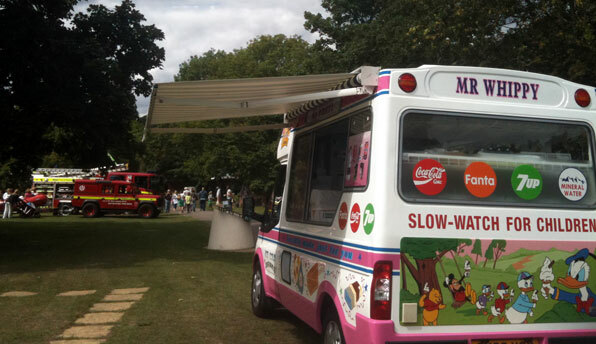 Mr Whippy Ice Cream Van Hire, we have just launched this blog in order to provide our customers with valuable information about ice cream van hire and ice cream van catering. Catch up on all the latest news and events! We were contacted by a promotions company to accommodate a UK wide tour of universities and city centres, Giff Gaff hired our MR Whippy van for a three week period we handed our Mr whippy van over to a signage company in Edenbridge to transform the van with a unique wrap which took 2 days to do, the van was then taken to a prop company in London to be turned into a hot dog van that would give free hot dogs to all the major universities including Loughborough Nottingham, Manchester, Brighton to a name a few cities. We received the initial enquiry to offer a quote to assist Carling with a TV commercial in march 2013 and was awarded the 3 day contract, we travelled to the shoot location and watched our van be transformed into a Let whip ice cream van ready to be used for some great filming over the three days of the shoot and I even got a free pint of carling! We were hired to attend Helen & Glenn's wedding back in September 2013 we arrived at the venue at 7.30pm with our beautiful pink & white MR Whippy ice cream van dressed with ivory cream ribbon and bows and pulled into place with the chimes a blast to serve 120 guests with our famous MR whippy 99 ice creams and our huge selection of 25 different ice creams and lollies, I welcomed the bride and groom into the ice cream van to serve their guests with a Mr Whippy 99 and had some fabulous pictures in the ice cream van. Ice Cream Van Hire Kent, London and South East providing original and unique ice cream vans for weddings, corporate events, birthdays, fetes, carnivals, boot faires, fundraising, carnivals providing you with fully qualified staff and a high quality Mr Whippy catering van.